Description: A surprisingly cold hardy evergreen climber originating from China. Masses of starry, jasmine-like, highly scented flowers from late spring throughout summer. Grown widely in gardens throughout the temperate world. Sun or shade. Good, free-draining soils. 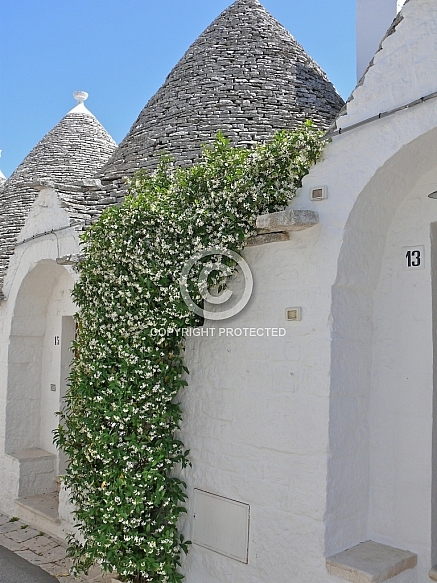 Photographed amongst the Trulli houses, Alberobello, Italy, summer 2008.